Konstantin Grcic and Emeco have released the Parrish Collection; a set of recycled aluminum chairs designed for the Parrish Art Museum in Water Mill, New York. 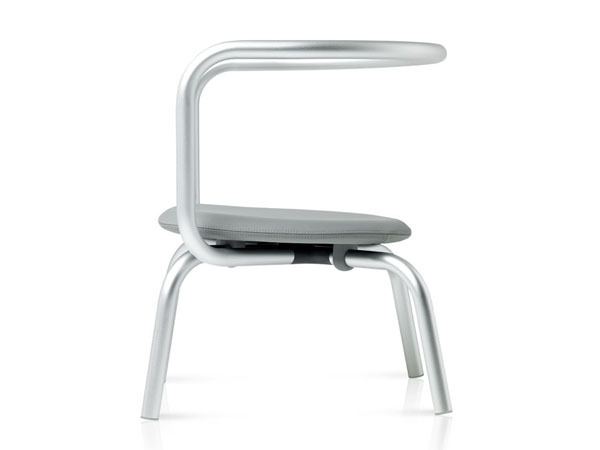 The subtle design highlights the space around the user when seated, emphasising the idea of comfort while using very little material. 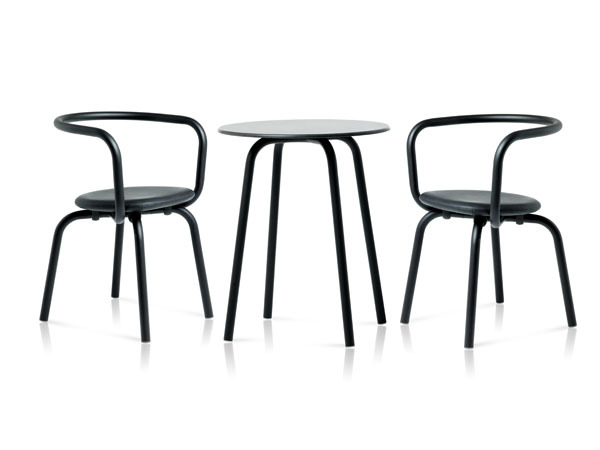 Tables are also incorporated into the collection, using the same minimal concept. 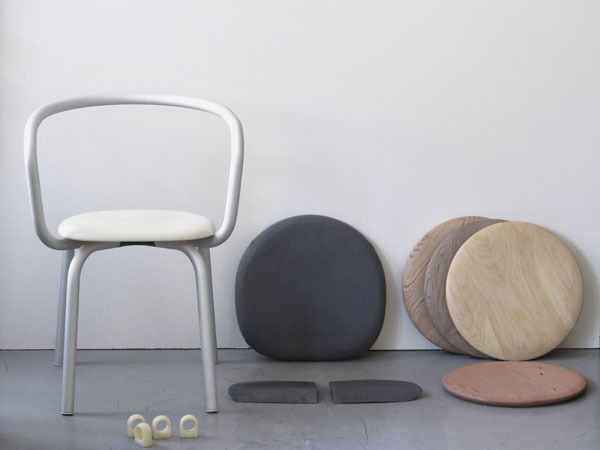 The versatile family of chairs feature different seat types, such as polypropylene, locally sourced wood from Lancaster, Kvadrat fabric, and three choices of leather.